I was out on the boardwalk at Rockaway Beach with some friends. After a day in the sun, we were looking for some food. The area has been undergoing a virtual gastronomic revolution with new restaurants and offshoots of existing city based restaurants opening in the pavilions along the water. 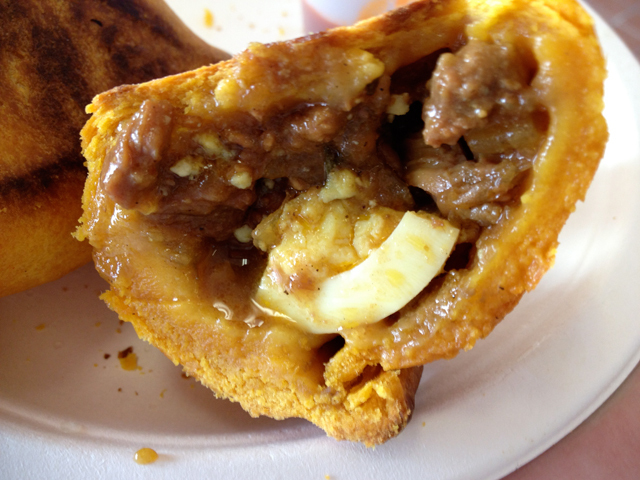 The new offerings are a far cry from the funnel cakes and french fries of a place like Coney Island. There were a number of options in each of the boardwalk’s pavilions, like a miniature beach oriented food court. 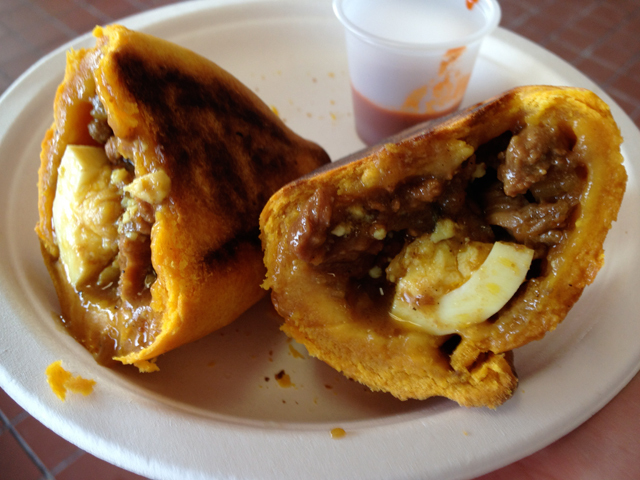 Casa de Camda is offering up these Bolivian pockets filled with savory meat and egg. A vegetarian option is also available. Sliced open and served with a bit of hot sauce, they were a little unexpectedly sweet. While tasty, one alone was not actually all that filling, making it a good snack but a poor meal.